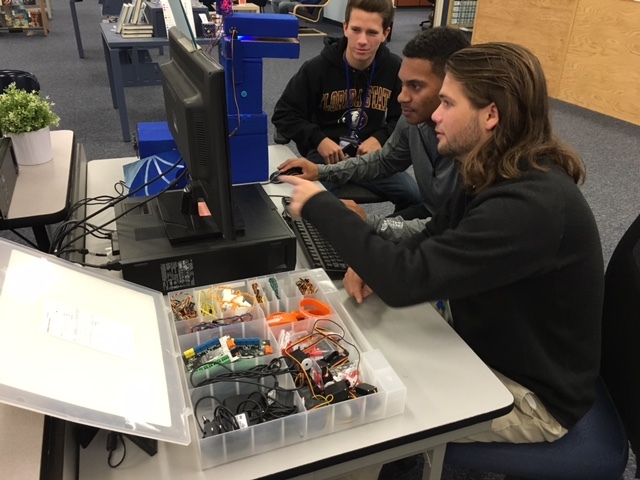 With the introduction of several student-friendly apps and robots, coding in some form or another has become a common activity in school library makerspaces. 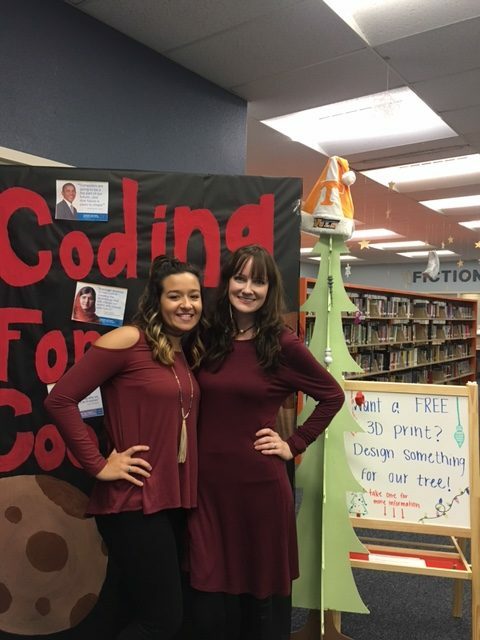 One great way to showcase a variety of coding activities and get more students involved with code is to host a coding event in your library. 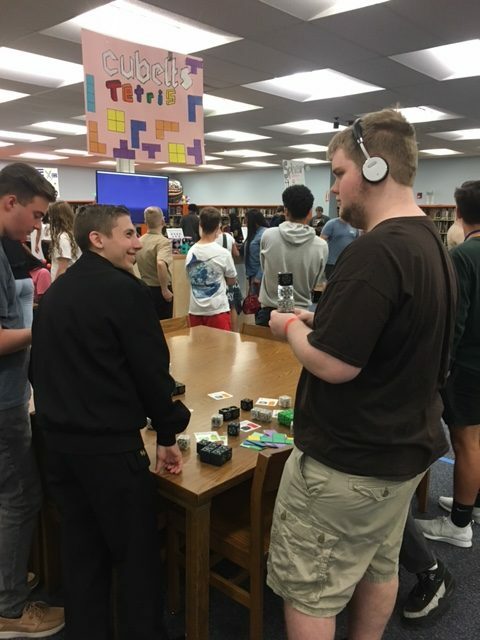 Aside from providing new learning experiences for students, the event also highlights activities that students can find in our library throughout the year, making it a valuable event for any time of year. Free Loan Program for the Finch Robot: The makers of Finch robot help provide coding opportunities to students by lending more than 1,000 robots each year to schools and libraries. Applications are accepted from March until May of each year for the following school year. 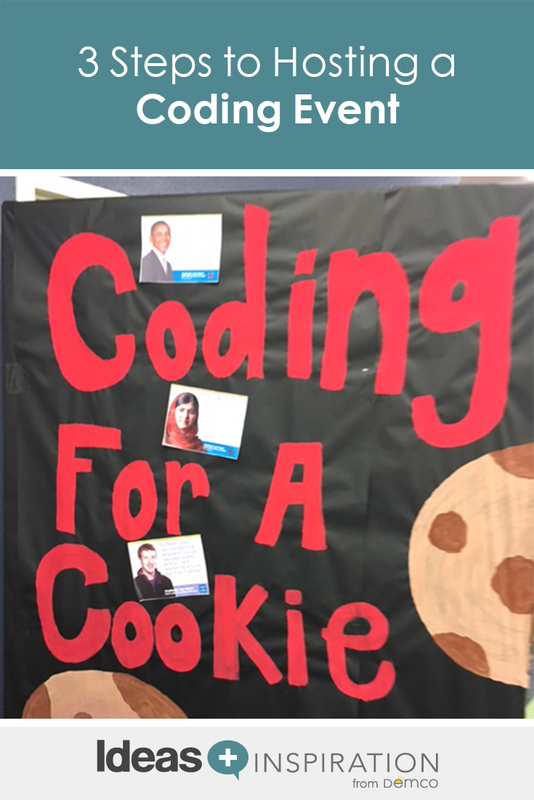 Hour of Code: Here you will find coding activities for a variety of student interests, ranging from Minecraft™ to Wonder Woman. Made With Code: This site has great options for older and younger students. Popular projects include coding a Snapchat geofilter or a Google logo. Scratch: Scratch has a variety of tutorials that make coding really easy and fun! My students especially love coding sounds and animation. Ready to Get Started With Coding? Are you thinking about introducing your students to coding, but you’re not sure where to start? 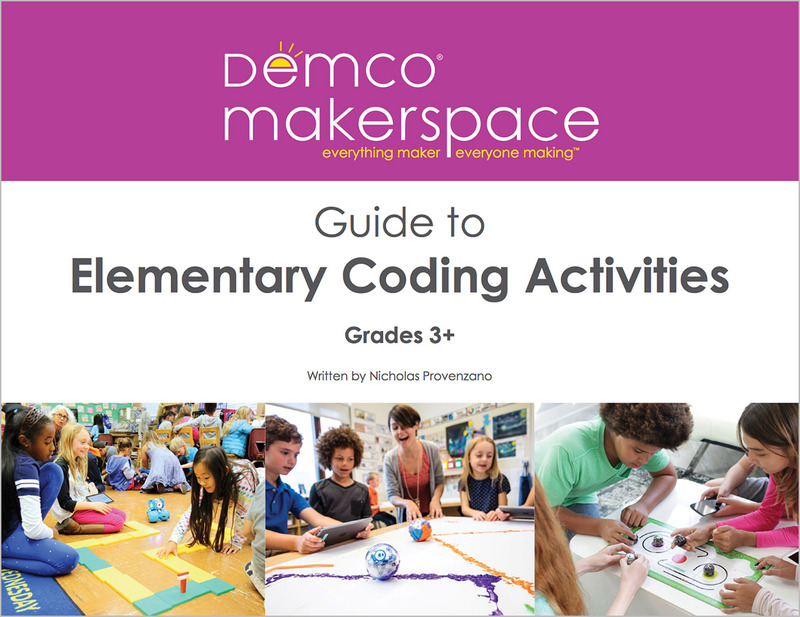 Download the Guide to Elementary Coding Activities to learn why the classroom is the perfect place to teach programming skills. Plus, get step-by-step instructions for 10 educator-designed activities focused on the most popular coding tools. Recruit students or library assistants to come up with an activity to run during the event. Before the event, I task my assistants with preparing their stations and making signs to hang in their activity areas. On the day of the event, my assistants help their peers with the activity and teach them introductory coding concepts. Upon completion of the task, my assistants stamp the participant’s activity menu, which is turned in at the end of the event for a cookie. Below are some activities we have done for our Coding for a Cookie event. For this activity, two of my assistants built a robotic dragon using the Hummingbird Robotics Kit and programmed it through Scratch. During the event, student participants learned a bit about how the robotic dragon was programmed through a demonstration of the motors, servos and LEDs, and then they drew a task to complete, such as “make the dragon’s tale move” or “turn his eyes red.” You could use any constructed robot for this activity; a robot with some personality like Dash would work well also. Ozobots are great tools to use at your event because they are relatively cheap, so you can acquire multiples of the same bot. 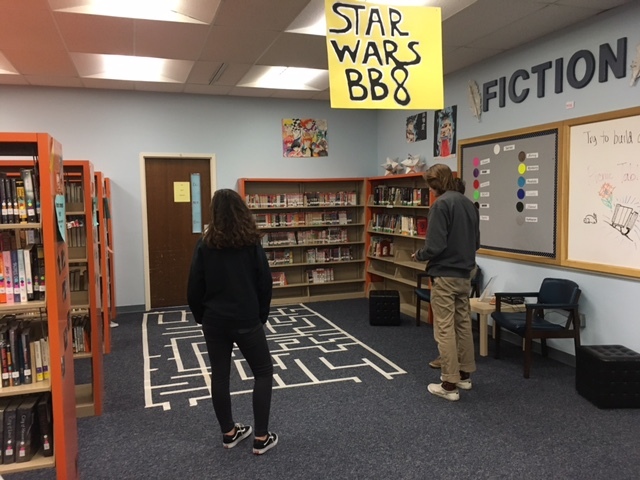 Have a demo scene set up with the Ozobot in action to attract students to the station. The Ozobot website has several free printable activities that can get students started with simple tasks like coding the Ozobot from its home to the store. You can also create your own scenarios for students to explore in the station. 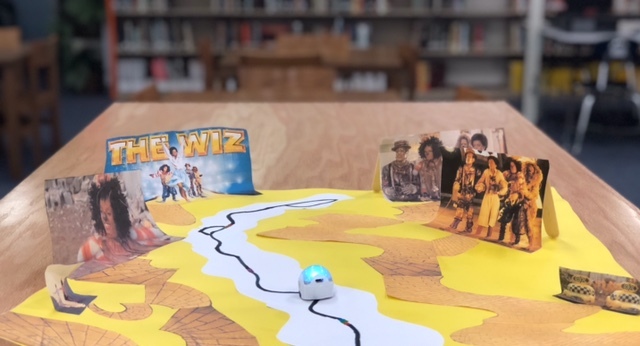 For example, have students code their Ozobot to save the city from destruction or help Dorothy find the Wizard of Oz. If your school has iPads or Chromebooks, there are several online activities for Ozobots as well. 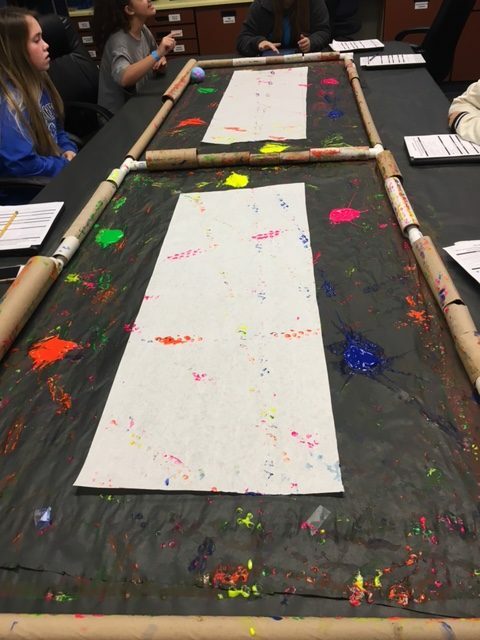 These entry-level activities are designed to offer both students and teachers a taste of the possibilities with Ozobots and pave the way for more in-depth lessons in a variety of subject areas, which are offered for free online. Browse tools to help students learn simple coding concepts, build their skills and apply them to challenges. The brightly colored littleBits are sure to get students’ attention at any event because they are easy to snap together and produce quick results. 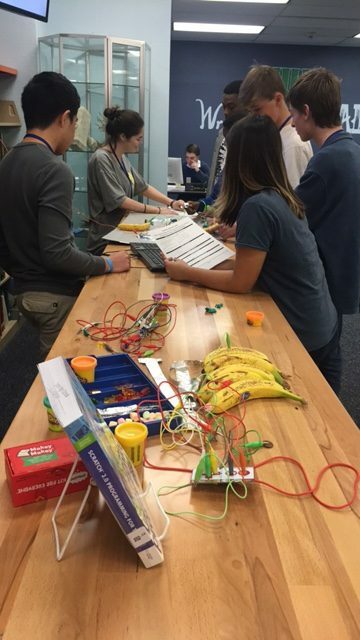 Your station could include an introductory design challenge using your Bits, as well as information on how they were invented. Our littleBits station was set up with information about the inventor, Ayah Bdeir, who designed them to make programming concepts accessible and fun. Bdeir’s five-minute TED talk is inspiring and informative and worth displaying near the station. littleBits also makes a kit specifically for coding, which has suggested games like making a guitar or playing tug of war, but if you already have some Bits, you can buy the Arduino Bit to get started with coding. The littleBits website has some great activities using the Arduino Bit, such as making an Etch A Sketch®. Sphero robots are one of the most versatile pieces of technology you can feature at your event. They come with a variety of free apps, but you can use the Sphero Edu app or Tynker app to teach coding specifically. 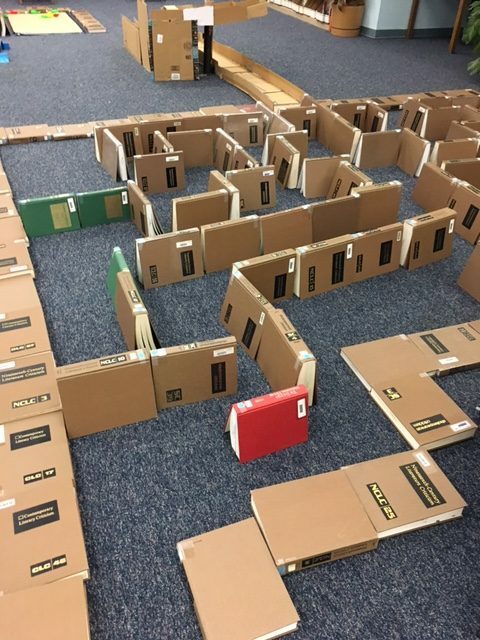 Have students code Sphero through a maze made of old books, use him as a bowling ball to knock down plastic bowling pins, code an art masterpiece by dipping Sphero in a little washable paint, or code him to rescue a floating object in a small kiddie pool. Sphero is waterproof, so the possibilities are endless. Ollie is an app-enabled robot by Sphero that can also be coded with Sphero Edu or Tynker. 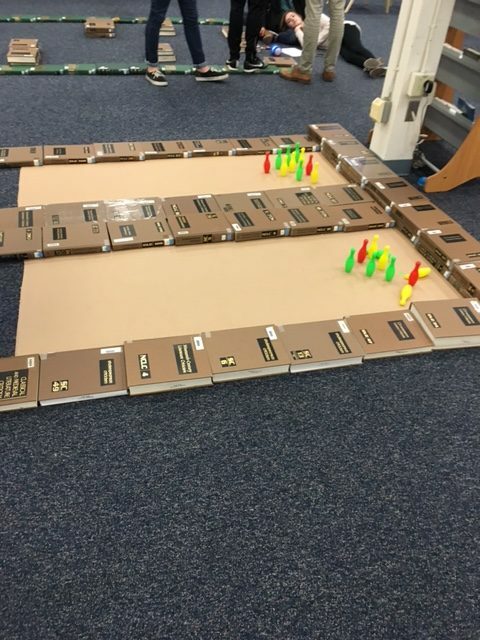 Ollies are virtually indestructible and fast, so you can set up a challenging race track for students to compete against each other using cardboard and a hula hoop for the finish line jump. Old cardboard converts nicely into a ramp for Ollie. My student assistants made a DJ turntable out of cardboard, conductive paint and tinfoil and connected it to a Makey Makey and computer. Using Scratch, students coded musical beats and then played them with the turntable powered by the Makey Makey. Cubelets are like littleBits because they perform a variety of functions by simply being snapped together. However, they also offer Cubelets Blockly, an app which allows the blocks to be completely controlled through programming either on a computer or iPad, which makes them great for a coding event. 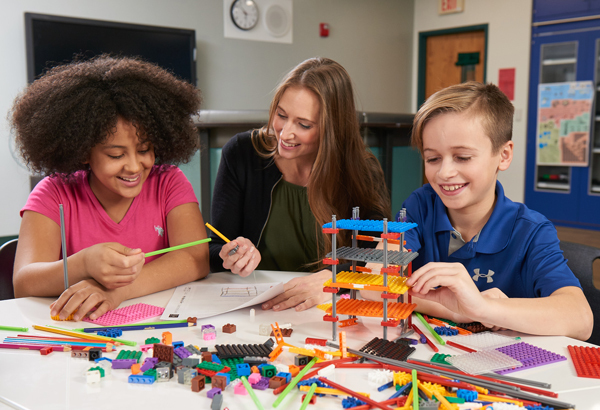 Check out the Cubelets YouTube page, as well as their Educator Resource Hub for several builds that can be controlled through code. 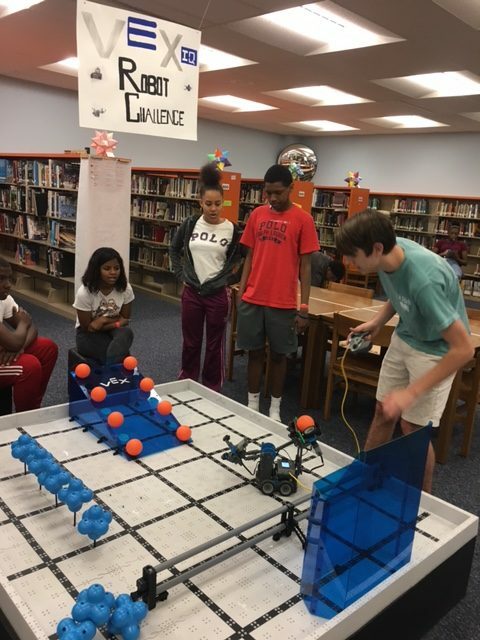 We showcased our Vex IQ robots during our event. Students could use the free online website at Robot Mesh to learn to program the robot’s movements, and then they could drive the robot to complete a challenge. You can use this activity even if you do not have the physical robot. 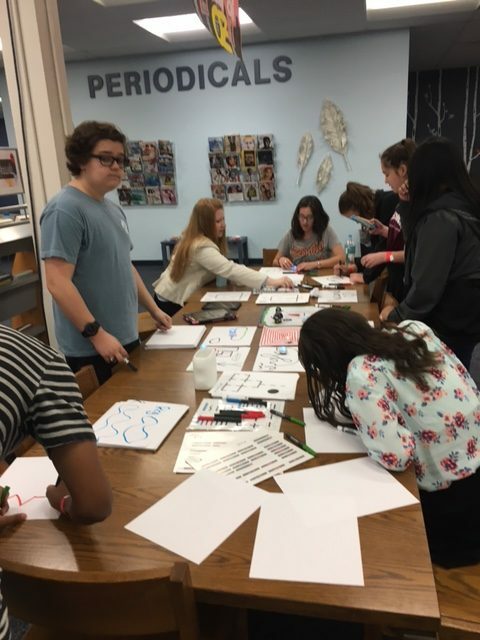 Once you’ve decided on how many students your activities will serve in the library, advertise the event to your teachers. I’ve found the best way to run an engaging but controlled event is to have teachers sign up to bring their classes. The number of classes allowed will depend on what activities you have available. We typically accommodate up to four classes and 15 student walk-ins each 50-minute period. Before the event, send task cards and wristbands for students to wear so it is easy to designate who is eligible to participate once you start the event. In order to make it accessible for more students, put together packets for teachers who want to participate while remaining in class. The packet can include a list of websites and activities students can do as a class or individually on Chromebooks. 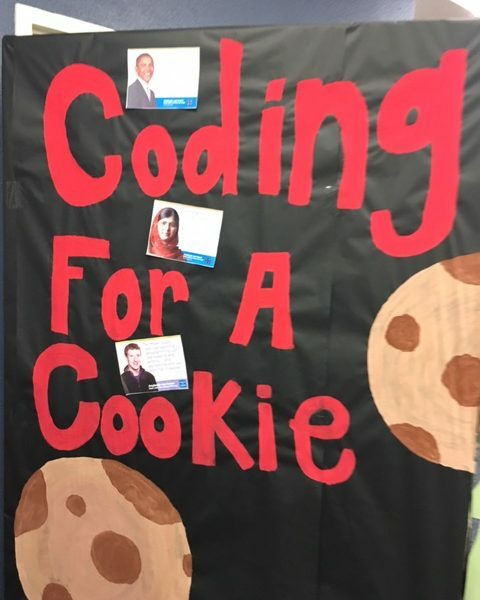 Print out special cards for teachers to give students who complete the activity in class so that they can cash in their coding experience for a cookie. The resources you showcase in your space will be unique to your library. The goal is to get students engaged in coding, and there are plenty of free resources available to make that happen. Be sure to register with Code.org to receive free materials for your event. They also have flyers and sticker templates you can use for promotion. Happy coding! Alisha now runs the Media Center turned Innovation Center at Booker T. Washington High School in Pensacola, FL, after teaching high school English for five years. In 2015, she received the Governor’s Shine Award in the state of Florida for her contributions to education through her school library. 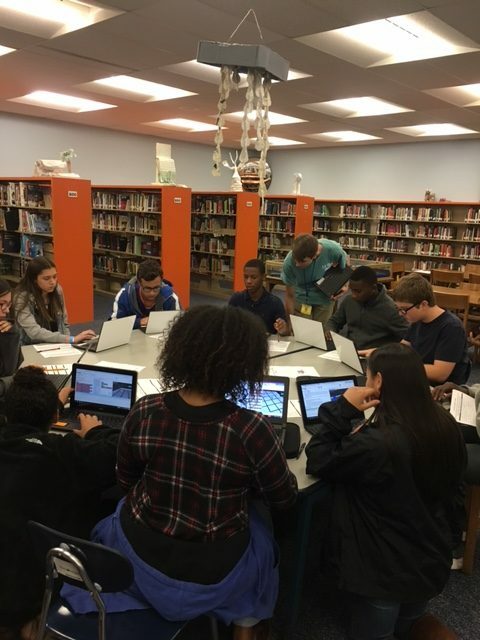 Alisha was selected as a PBS Digital Innovator in 2016, and in 2017 her library was selected as the winning high school program for the Follett Challenge, accompanied by a $30,000 prize. Also in 2017, her Innovation Center won the District Administration (DA) Schools of TechXcellence Award, sponsored by HP and Intel. 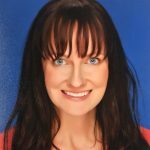 In addition, School Library Journal chose Alisha as the Maker Hero for the 2017 School Librarian of the Year Awards.